I recently attended the 2nd annual 2014 AVMA Economic Summit that was held in Chicago. This is an annual gathering of veterinarians, thought leaders, and academics who are interested in the economic condition of our profession. It was hosted by the AVMA Veterinary Economic Strategy Committee, on which I am proud to serve. The speakers during the event were absolutely fantastic, with special kudos to Drs. Michael Dicks and Bridgette Bain from the AVMA Economics Division. As they summarized the results of their work over the last year, I was struck with how much more we now know about the economic underpinnings of our profession than even last year. There was definitely some good news, such as a decrease (current and projected) in the excess capacity of veterinarians. Additionally, the absolutely HUGE cohort of Millennials have a high affinity for pets and will likely increase veterinary demand in the years to come. Engaging with this group in order to make sure their pets are healthy pets is a worthwhile goal. Without belaboring the negative points one by one, I believe the challenges facing our profession can probably be summarized by one phrase: lack of engagement. Many of the indicators and objective numbers discovered by researchers are symptoms of an underlying lack of engagement. Maybe this is an oversimplification, but I don't think that spending 20 minutes PER YEAR with our clients is good enough. We're surrounded by information, and individual, highly fragmented veterinary clinics have struggled with developing state-of-the-art tools to regularly interact with clients in the way they've come to expect from their service providers. 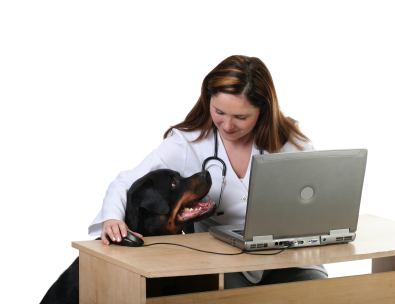 Banfield and VCA/Vetstreet have the budget for this, but how does a 3 DVM practice compete? Among the excellent suggestions I heard was to "forward book" clients so you aren't relying on clients to remember to call/schedule. Don't let your clients walk out the door without having made their next appointment. My dentist and chiropractor are extremely consistent about this, and we veterinarians need to follow their lead. It doesn't take a huge spend on internet marketing to do these things....all it takes is consistency. Check out some other blog posts I've written....I'd love to hear what you think!